Wivenhoe is blessed with a number of historic maps from the Ogilby and Morgan Map of 1678 to modern Ordnance Survey and estate maps. 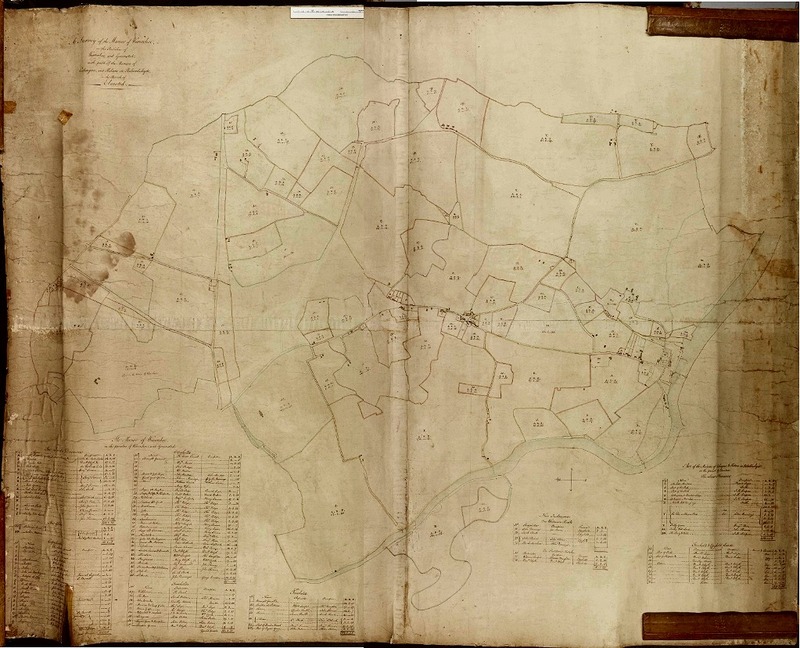 The 1799 Map – ‘A Survey of the Manor of Wivenhoe in the parishes of Wivenhoe and Greensted with parts of the manors of Cockaynes and Kelars als Rebandishyde in the parish of Elmsted’ is of special significance. This is because it reveals a complete picture of the town in 1799. It shows 113 numbered parcels of land complete with acreage details and a descriptive key listing the names of the properties, names of the owners, occupiers and tenants and whether the land was ‘in the Lord’s hands’, copyhold or freehold. By the time the Wivenhoe Tythe Award Map had been published in 1838 almost all these historic parcel names (some of which had remained unchanged since Elizabethan times) had been lost as the land became divided and subdivided following enclosure. When we first came across this map it was as a smudged photocopy of a black and white photograph, catalogued at Essex Record Office (ERO) as T/M 374/1. Although the map itself bore no date it had been given the date of 1799. ERO stated that they did not have the original map. Apparently it had been in their possession at one time but it had been reclaimed by the donor. From time to time we chased them up in case the map might have re-materialised but the answer was always ‘no’. As the team struggled to transcribe the map it was decided to have one more go at obtaining an original copy and ERO suggested that if we wrote a letter to the donor they would undertake to pass it on but did not hold out much hope of obtaining the original. However within a remarkably short space of time an email was received from ERO saying that they now had the map which had been recently handed in again together with other Wivenhoe material. A scan of the map was obtained (Accession No A13644, Box 1). This had to be done in two parts since it was such a large map. Miraculously all that which had been indecipherable suddenly became clear and the team were able to complete their work of transcribing the key. This page was added on 24/04/2016.